97% of users don't have a problem with opioids. Here's how to avoid becoming part of the other 3%. The dangers of prescription painkiller addictions have been in the news for years, as abuse and overdose of the drugs has skyrocketed. The biggest offender is a class of drugs called opioids, such as oxycodone (OxyContin), hydrocodone (Vicodin), hydromorphone (Dilaudid), and meperidine (Demerol). If your doctor suggests that you try one of these medications to relieve pain, it is unlikely you will become addicted. But you must proceed with caution. Opioids, and a non-opioid that works the same way called tramadol (Ultram), decrease the perception of pain. They also create a feeling of euphoria for some people, especially those who are not in pain. Side effects include nausea and itching. Opioids are typically used for the short term, to treat severe pain following surgery. 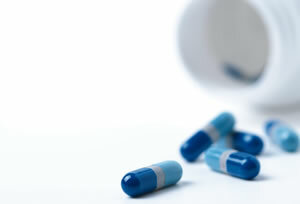 They may also be used for some long-term pain, such as pain related to cancer and terminal illness. Treating back pain and arthritis with opioids is controversial. A common risk of opioids is dependence. "If you need opioids for only a few days after surgery, they're not a problem," says Dr. Karsten Kueppenbender, an addiction psychiatrist at Harvard-affiliated McLean Hospital. "But any patient who is treated with opioids for 30 days or longer will develop opioid tolerance. This causes them to suffer withdrawal symptoms if the medication is stopped abruptly. Users may also begin to want more of these drugs to achieve the same effect. It can happen to anybody." Dependence is not the same as addiction, which is characterized by compulsive use and preoccupation with the drug that interferes with normal life. People who in the past have become addicted to another substance, such as alcohol or nicotine, are at increased risk of becoming addicted to opioids. The risk also is higher in people with untreated mental illness such as major depression and post-traumatic stress disorder. Don't be alarmed if your doctor prescribes an opioid. "Ninety-seven percent of patients don't have a problem with opioids," says Dr. Kueppenbender. He advises that opioids for minor surgical pain be limited to no more than seven days.For long-term use, he says you should take opioids by the clock as prescribed. Don't try to reduce your addiction risk by cutting down on your dose and waiting until the pain gets so bad you have to take the medicine. That could backfire: the memory of how bad the pain got, and the relief from the opioid, may actually increase the risk of becoming addicted. If you are prescribed opioid drugs for long-term use, be sure your doctor has hooked you up with a medical team that has a strict protocol in place for people taking opioids. That means the team should be easily accessible to you, it should require monthly check-ups for reassessment of the drug's use, and it should conduct random urine toxicology screenings for patients. ?